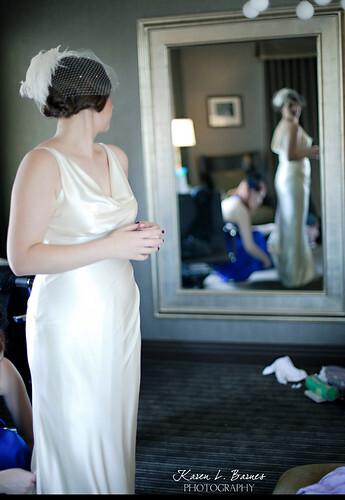 Raina and William were married at the Cicada Club in downtown Los Angeles. Given the 1920′s design of the venue, they decided to give the entire wedding a 1920′s theme. Here’s Raina before the big event. 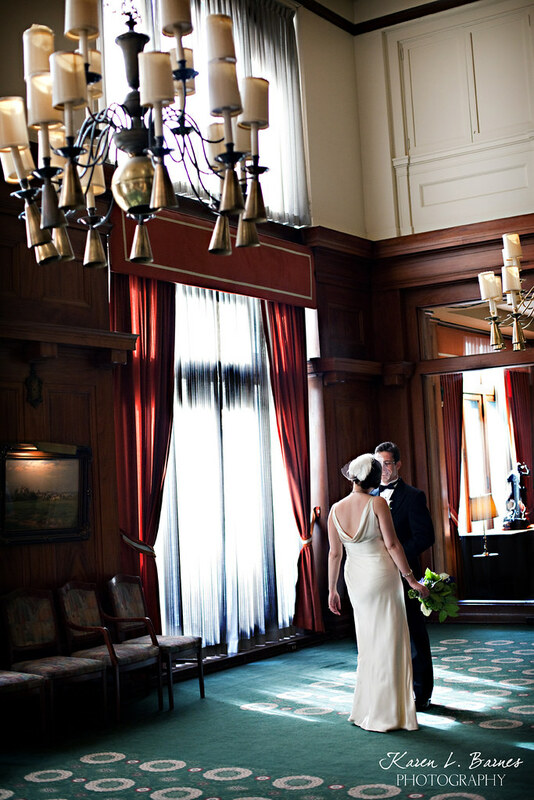 William and Raina saw each for the first time that day in the ballroom at the Los Angeles Athletic Club , which is right across the street from the Cicada. After some formals at the Athletic Club, we headed over to the Cicada to prepare for the ceremony. The girls in the cocktail lounge. William is a composer, and entertained the wedding party with some of his music before the ceremony. William conducted the music during the ceremony, and each member of the wedding party carried bells while they walked up the aisle. After the ceremony, we got some romantic shots around the club. One of Raina and William’s friends is a concert pianist, and he performed for them and their guests at the cocktail hour. He was an amazing musician. The reception featured 1920′s music and dancing. Nearly all of Raina and William’s guests knew the 1920′s steps, which was really cool. At the end of the evening, we went back across the street to the roof of the Athletic Club, which has a beautiful view of downtown Los Angeles. Thank you both for sharing your special day with us! We had a great time.